Did you know that replying to a text message while driving 55mph is like driving blindfolded the length of a football field? Answering a text message takes your eyes off the road for an average of 4.6 seconds - which would be approximately 100 yards. In 2016, texting while driving became outlawed for all Wisconsin drivers. In addition to the danger you pose to yourself and others, the tickets you may be penalized with are often considered "major violations" by insurance carriers. Which can result in an increase to your insurance premium. While there are many distractions on the road today, your mobile phone is one of the worst offenders. 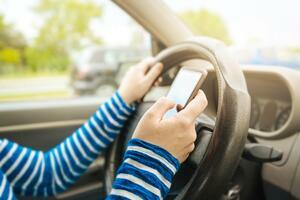 Take this quiz for the essential facts on distracted driving and your phone. For more information on your auto insurance, contact a KnowledgeBroker at R&R Insurance.